The No. 22 Oklahoma women’s golf team finished Monday’s first and second rounds of The Dickson in eighth place at 581 while the University of Tulsa is in 14th place. The 16-team tournament is being played at the par-72, 6,296- yard The Woodlands Country Club in The Woodlands, Texas. The Sooners opened the day with a 287 (-1) in the tournament’s first round before recording a 293 in the second round. No. 2 Florida State is in first place at 22-under 554, followed by SMU (569;-7) in second place and No. 15 Kent State (575; -1) in third. 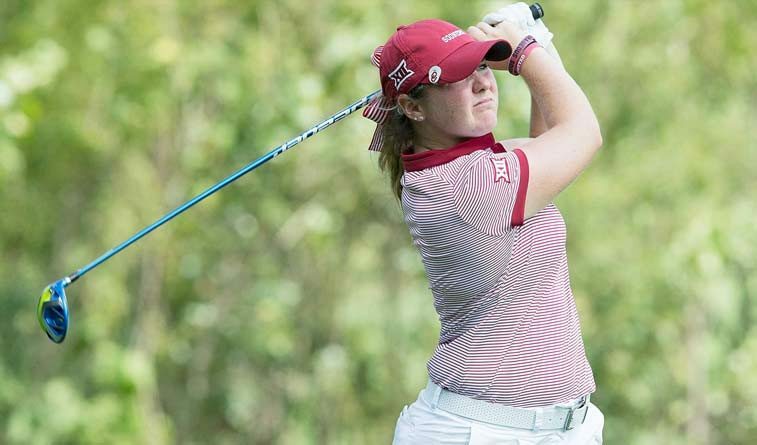 Valerie Tanguay paced the Sooners on the day at 2-under 142 (70-72) and is tied for 12th. Julienne Soo carded a 71-75 to share 28rd place at 146. Ana Ruiz shot 147, Rylee Pedigo 148 and Hannah Wood 149. Tulsa freshman Greta Bruner is in seventh place at 141 after rounds of 70-71. Tulsa totaled rounds of 298 and 302 for a 600 Monday. Sophomore Anneke Strohbach turned in rounds of 77 and 74 for a 151 total and 60th place, while senior Nadia Majidizadeh sits in 65th place following rounds of 76 and 78 for a score of 154. Freshman Taylor Dobson and senior Nicole Marquardt turned in identical scores of 155 and are tied for 71st place in the field of 90 participants. The final round will be played on Tuesday. 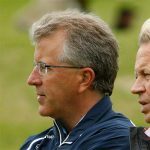 Live scoring is available at Golfstat.com.